Arati Biswal is working as an Associate Professor in the P.G Dept. of English at Rama Devi Women's University, Bhubaneswar, since 2013. She obtained her M.A and PhD degrees from Utkal University of Odisha. She has taught English literature for thirty five years in prestigious Government colleges of Odisha. She has worked in the area of Indian English fiction for her Doctoral research. She has contributed articles in various national and international journals; in edited anthologies and is engaged in supervising scholars. She has participated in national seminars. 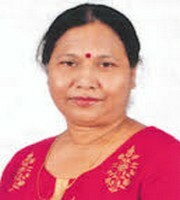 Her areas of research interest are Indian English Literature, Gender Studies and English Language Teaching. She is fond of travelling and reading.